Also claiming attention are Ravel’s Second and Enescu’s Third Violin Sonatas, the former’s middle movement deftly realised, the richly atmospheric latter benefiting from Graffin’s Gypsy accents and Désert’s poised precision. Of immediate interest are the first recordings of Ysaÿe’s ‘posthumous’ Violin Sonata and Petite Fantaisie romantique. Rescued from obscurity in the library of the Brussels Conservatoire and completed by the soloist here, Philippe Graffin, the Sonata is a compact, idiosyncratic work noticeably striking out from its six earlier siblings in new directions. Graffin and his fingertip-delicate accompanist Claire Désert champion its winning spikiness with ardent and persuasive eloquence. The Fantaisie is lithe and elasticated even while retaining poetry and pungency. A third premiere is a lilting, beautifully voiced arrangement of Debussy’s Claire de lune by Graffin and David Matthews. 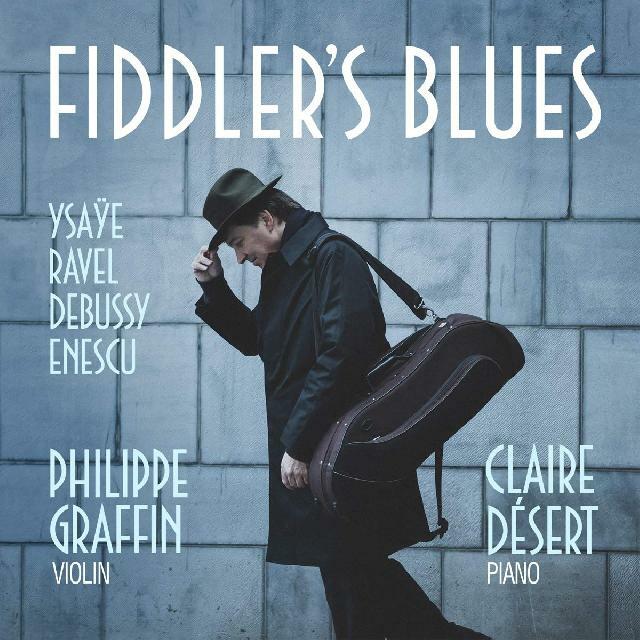 Also claiming attention are Ravel’s Second and Enescu’s Third Violin Sonatas, the former’s middle movement deftly realised, the richly atmospheric latter benefiting from Graffin’s Gypsy accents and Désert’s poised precision. Ravel’s lilting Berceuse tribute to Fauré and Enescu’s flighty, quietly feisty Hora Unirii complete a recital distinguished by exemplary reciprocity between Graffin and Désert, framed in excellent sound.